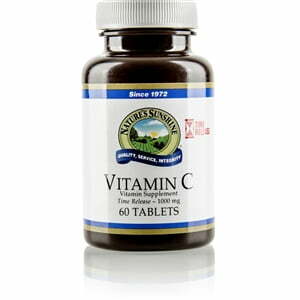 Nature’s Sunshine Vitamin C Time Release provides all the powerful benefits of vitamin C throughout the day. A completely natural product with no sugar, starch, artificial colorings or flavorings, each Vitamin C Time Release capsule includes a special coating that slows the absorption of the nutrients until they reach the intestines. 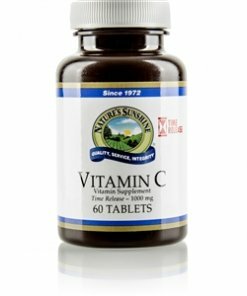 The vitamin C in this formula is blended with a base of rose hips extract, acerola extract, rutin, lemon bioflavonoids and hesperidin complex. Cellulose (plant fiber), stearic acid, magnesium stearate, silicon dioxide (powdered silica), and di-calcium phosphate.